Specialising in great food freshly made, our friendly independent coffee shop has been in Guildford since 1999.
and jacket potato fillings fresh each day. All food and drinks are made fresh to order, just the way you like them. 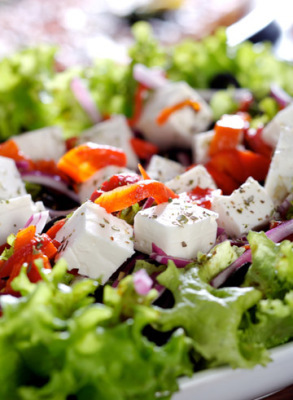 We can offer gluten free, vegetarian and vegan options. Outside catering menus are available for your business lunch, breakfast meeting, wedding, party or other celebration. bookings from several local businesses. We've been going to Fresh Choices for a while now and S&T are brilliant! 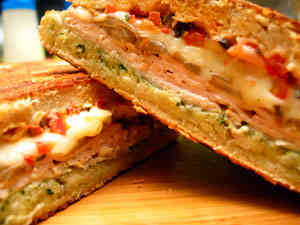 Great sandwiches, salads, breakfasts, soups, cakes. They remember how you like your sandwiches and make you really comfortable! Really good place for lunch in Guildford, little off the beaten track but well worth it. Very varied menu with everything made fresh. To stand out from the chain restaurant crowd they sell an excellent and affordable range of antiques and vintage items. Well done for being different, we will be back. Had a great lunch today at Fresh Choices. As the food is all made to order we had actually what we wanted, which is very rare these days. Jacket potato with cheese beans and butter on the side, no problem for the friendly staff. Fussy children are well looked after all the time. Thank you for taking care of us each time we come. Best breakfast and smoothie in town, spend a nice morning here, excellent staff. They also stock vintage items well priced and great quality. Nice friendly cafe. 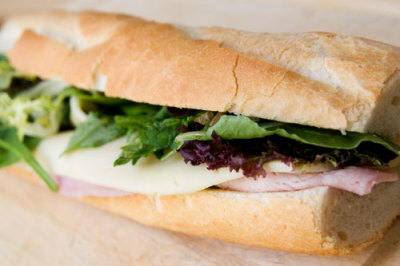 Good selection of sandwiches, paninis, cakes and drinks. Also sells vintage crockery, books, records and tools. Haven't been for a few weeks as doing other stuff at weekends, but always go when we can. Great selection of hot food, wraps, soup, sandwiches, Jacket Potatoes. Drinks in a fridge, Tea, coffee, juices, cakes, and the vintage side to browse while you're waiting. We have been coming here since they moved from Swan lane as there is lots more space. Tom and Sharon are very friendly and chatty - can't believe some of the other reviews on here. Crisps and coleslaw can be added for £1 extra, whic you are told about, if you want to alter something just ask, add something or remove something. Have always found them very accommodating. Jug of water used to be out, but you can always ask for a glass of water too. My other half - difficult to please is happy with the coffee, tea is teabags, but in a pot. They are always busy - not always full round lunchtimes, but wait a bit and you can usually get a table. Normally come here every other month for a cooked breakfast. Not the cheapest place to eat but the food is freshly cooked and there is plenty of it. Does a mean fresh orange juice too. Guildford has the usual slew of chain coffee shops but this is different. A comfortable cafe with excellent food mingles with a vintage shop selling lovely retro china and other items. A friendly welcome from the owners helps. Freshly made food to order, great friendly service and real fresh squeezed orange juice. Reasonably priced too. We go to Fresh Choices for lunch most Saturdays and can be assured of a Friendly welcome From Sharon and Tom and freshly prepared, tasty food. The premises are much larger than the previous location in Swan Lane making it a nicer location. They have too many sandwich choices to list and can accommodate any changes. You can choose your bread from Panini's, white, brown and granary bread and wraps also including Genius Gluten free bread. Nothing seems to be too much trouble. They also do salads, Soup and Baked Potatoes and have various cake items too. They make Fresh fruit smoothies and well as freshly squeezed Orange juice and have cold drinks too. Tea and a coffee machine where they make nice coffees to your taste. 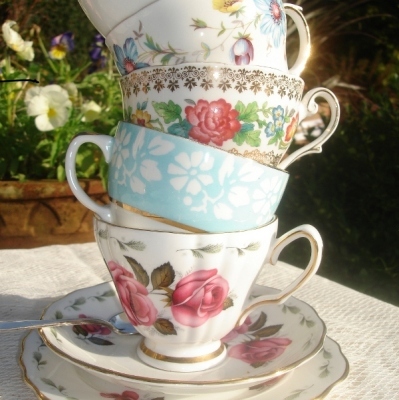 They have also started to do Afternoon teas and scones with cream and jam in the afternoons and have also started to sell all sorts of Vintage items from cups, saucers and teapots to cutlery, tins, hammers and records. All sorts of goodies. These items let you have something to browse while you are waiting for your order to be freshly prepared. In this day and age of saving, up-cycling and vintage chic, head straight to Fresh Choices to have a rummage through lost treasure - not only will you get an excellent hot beverage and home baked goodies, but you can return to a by-gone age and pick up a bargain - pretty vintage china, mixing bowls that Mrs Padmore would love to get her hands on, cut glass jugs, even vintage leather luggage to take it all away in! A wonderful place to find an original Christmas gift!! Good luck Tom and Sharon! I am thrilled with my rolling pin and pretty butter knife! 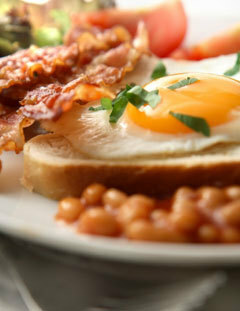 "Still the best breakfast in Guildford..."
The food is fresh and the choice is yours. Fussy eaters will love Fresh Choices because, unlike the cafe chains where you pluck your sandwich or wrap from the chiller, here your sandwich is made to order. Like butter or hate it: you don’t have to have it. It’s order and pay at the counter which is great for shoppers who like a quick getaway. My cappuccino was smooth and I enjoyed sitting on a bar stool watching the North Street traffic go by. To sum up Fresh Choices: fast food with a healthy edge. introduced several of my friends and family to Fresh Choices, and in discussing it last week found that several are now visiting the shop themselves as a place of preference. I should add that I found Fresh Choices by chance when looking for a replacement for a similar independent coffee shop when my previous favourite in Godalming closed down. It was a lucky find! We visited the farmers market in Guildford today and it was lovely to find such a friendly place to stop for a bite to eat. Our jacket potatoes were loaded with fresh homemade fillings and the orange juice was straight from the orange and into the glass! Thank you to the owners and staff for such excellent customer service, we will be back next month! I have tried this place before and I arrived here on this cold sat afternoon and as you walk in the atmosphere of fresh choices is a real joy to be greeted with as the place is really quiet with just the distant customers conversations. Its has a lovely range of cakes, sandwiches, hot meals and salads. Services is very prompt as customers are informed that thier food would be brought to them at their table. There is no waiting around its easy to find right after the post office in the top of the high street. Prices are reasonable and affordable for most of the shoppers. Congratulations on your new premises which I visited today (I'm the bloke from the Police who always has a chicken based baguette, lettuce, butter, cut in half!). Very spacious and does justice to the great food you provide. I look forward to many more visits. If you have any questions, please do not hesitate to send us a message. If you wish to place an order, please call us on 01483 578899.